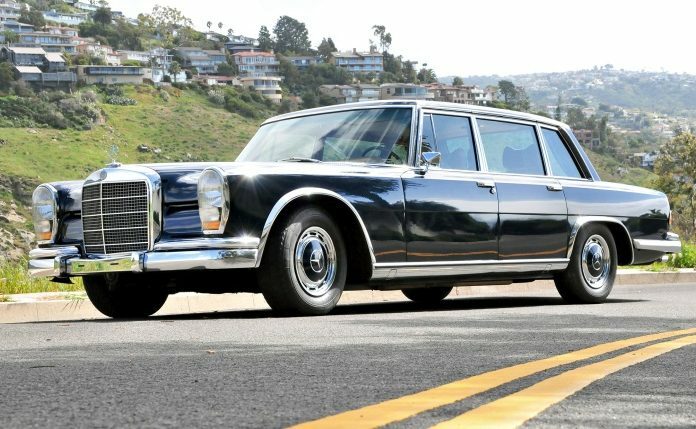 If you ever watched old movies, TV shows and news reports, you probably noticed the big, long and often black Mercedes as part of parades, movie premieres and celebrity receptions. That Mercedes may look familiar with its signature grille and front fascia, but it is much bigger and flashier than anything you see on the street. That car was the Mercedes 600, chassis code W100, and there is a good reason why you didn’t see it on the road. The 600 was an ultra-luxury, custom-made and extremely expensive limousine suited for most discriminating customers, wealthy dictators and movie stars. Mercedes presented the 600 in 1963, and it was the most ambitious project the company ever attempted. The goal was to create the best luxury car in the world. Soon, the car public all over the world knew that Mercedes managed to do just that. Mercedes filled the 600 with technological marvels, a big powerful 6.3-liter V8 engine, and top of the line materials. It was a hand-built masterpiece of engineering, opulence and luxury. But they discontinued the 600 in 1981 after building over 2,500 of them. The car proved to be a tremendous success, especially because each one cost a small fortune to own and maintain. Over the years it became synonymous with wealthy people of taste and knowledge. Also, it was the favorite transportation of dictators, celebrities and rock stars all over the world. So, today, you will learn the story of the Mercedes 600 through some of its most famous owners. David Bowie, the legendary British musician was never a car person. He didn’t own many flashy cars or entered car shows. However, at the height of his fame is the early ’70s, Bowie bought the special Landaulette version with a removable back portion of the roof. And because he used the car often, it can be seen in many of the period’s promotional shots.